Whimsical Birdie, a full A-line silhouette, features a soft tulle skirt trimmed in horsehair, which waltzes down the aisle in a manner reminiscent of clouds floating through the sky. Lace appliques ornament the dropped waist bodice, including cute touches of foliage atop the shoulder strap. 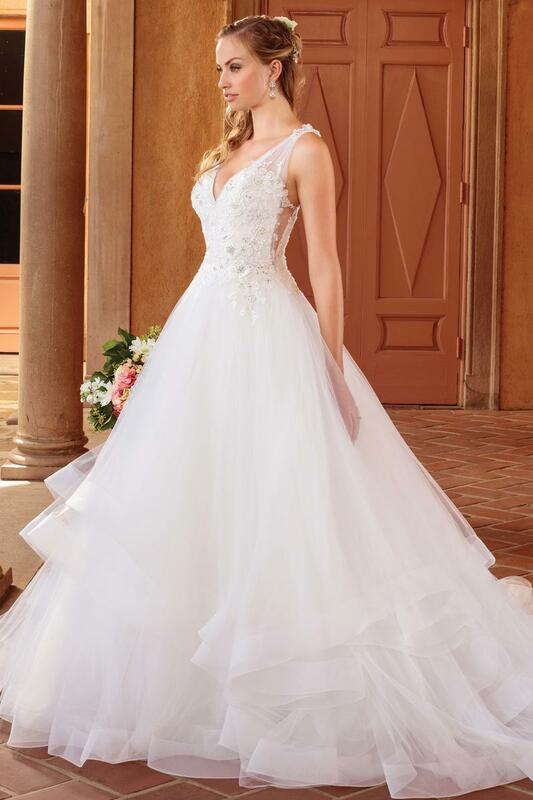 The V-neckline, illusion underarm cutouts, and low back elevate the gown for a beautifully balanced bridal look.